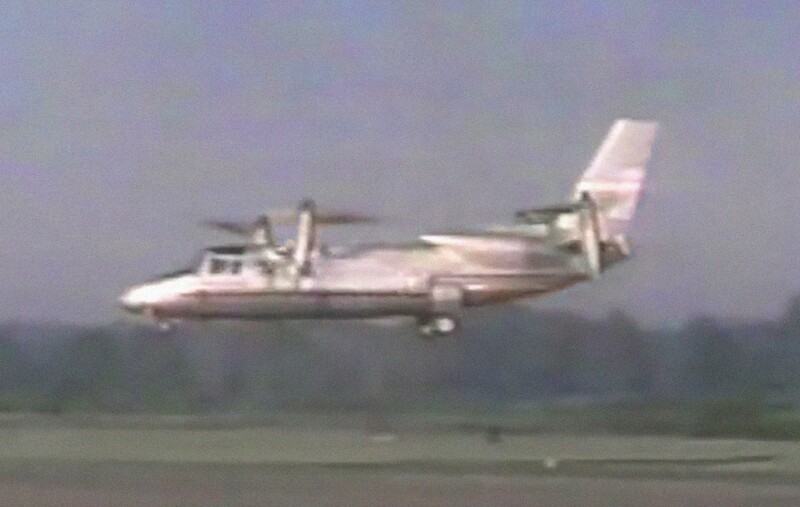 A brilliant tilt-rotor design, yet from over 50 years ago. Yes, those are tandem wings, a rather unusual configuration. The stubbiest nose wheel in history — well, maybe…. Twin engines but four rotors boasting 13 foot diameter each. This was the last aircraft built by the company before its end. Two were built for the USAF and first flight occurred November 1963. The first aircraft crashed 25 August 1965 and the program was cancelled. The second aircraft is on display in the new exhibit hanger, R&D gallery, of The National Museum of the USAF that opened to the public today, June 8, 2016. Correction: It is currently in storage awaiting restoration.